I said this year was going to be all about being happy and seeking out new adventures, so, with that in mind I booked a mini-European trip for myself. BUT THEN! To fly home from Prague was £104 yet to fly from Prague to Rome was £17.98… So again… Frankly it seemed rude NOT to! So ok, I called it quits after Rome as my flight back to London was only £18.00 and although the flights are cheap, hotel costs do add up! Yet I’m excited to be fulfilling my promise to myself to live life my way and to go where the cheapest flight takes me! I’m not going for long and I’ve got worked lined up for the day after I return… It’s the perfect guilt free indulgence I need! Please feel free to leave any tips for things to do, places to eat and trails to stomp in any of the locations! 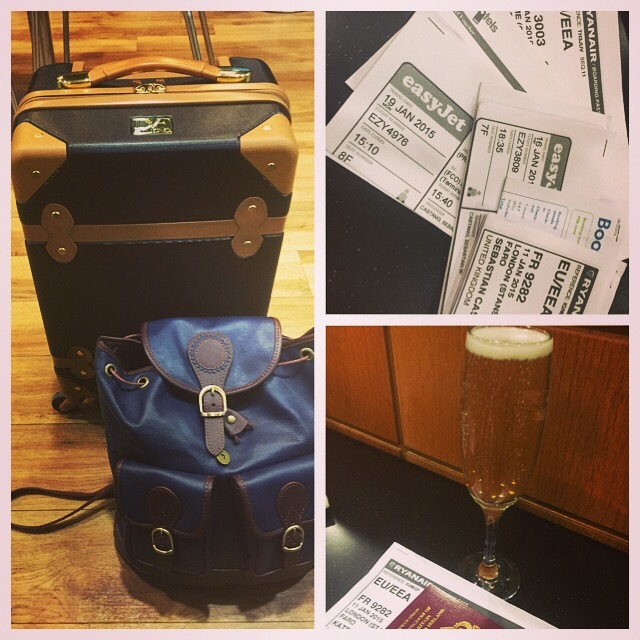 I shall be sure to update you on what I get up to… But until then I’m going to finish this glass of bubbles and hopefully sneak my slightly-too-large-hand-luggage past some moody looking flight attendants! This entry was posted in Travel and tagged amsterdam, europe, portugal, prague, Rome, Travel. Bookmark the permalink. Your genius knows no bounds. And by genius, I mean cheapness. And by no bounds…… I mean many bounds (Mainly based on cost). Have a great time! Ha what a weird thing to bother writing. Why spend money getting there?? I’d rather spend my money on a great hotel and doing new things when I’m there… But that’s just me! This is great Kate, I would really like to copy you on this. I hope all is good with you.